New Orleans is all about food, jazz and drinking. Whether you're the kind of person to revel in the atmosphere of Bourbon Street, or take in the more chilled vibe of the jazz scene on Frenchman Street, any visit to New Orleans will have something for you. But, don't head to New Orleans with the idea of keeping your belt on it's tightest notch; the food is full on. Hearty, wholesome, and comforting, New Orleans spares no expense with the calories. So, slip on your elastic pants, and get ready for a gastronomic adventure. 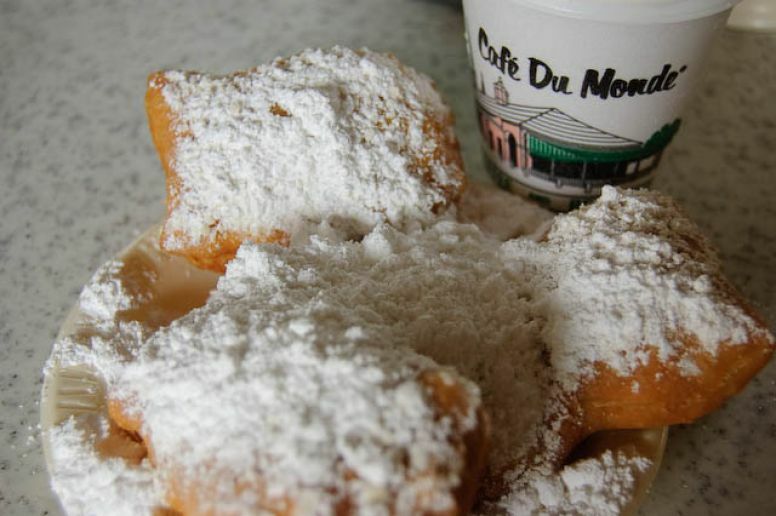 Grab a Cafe au Lait and beignets (French doughnuts, they come in plates of three) at Cafe du Monde in the French Quarter. As the fans whirl lazily overhead you could almost imagine it's a century earlier. And, for $4 it's a cheap and decadent breakfast! Try some Creole cuisine at Coop's Place in the French Quarter. Have the gumbo, jambalaya or the tasting plate. All the food is excellent. 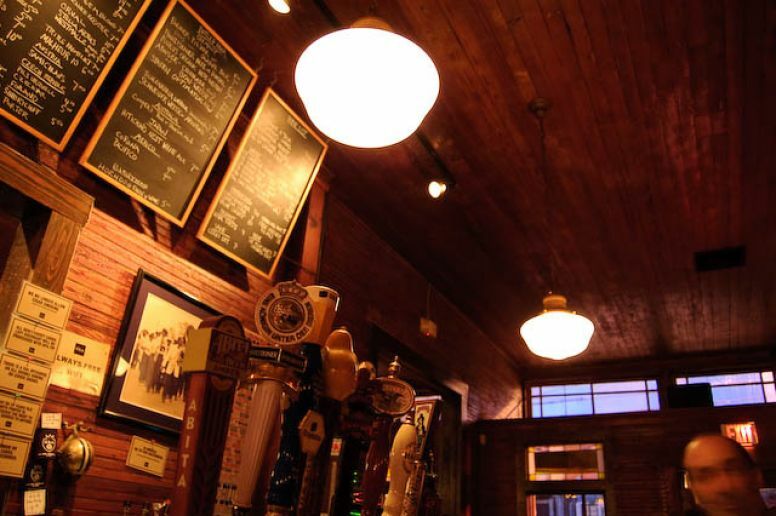 Partake in some jazz and beer or cider at d.b.a. on Frenchman Street. 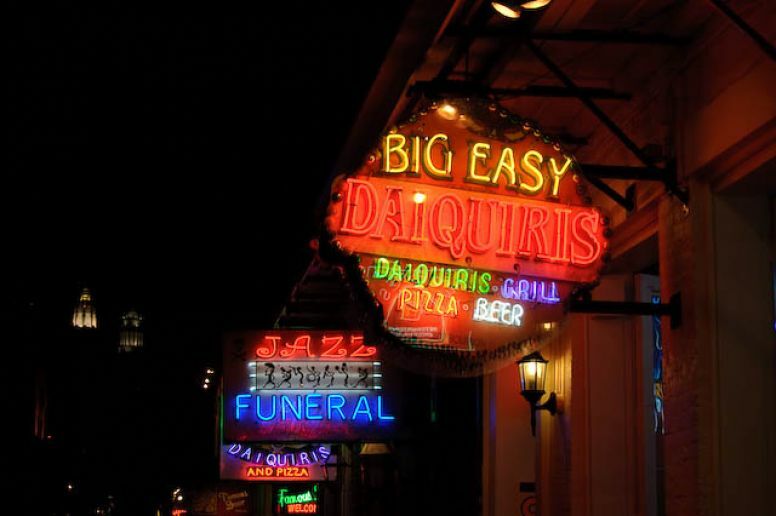 Frenchmen street purportedly has five of the best jazz bars on New Orleans, so if d.b.a. isn't to your liking, it's just a few steps to another corker. Catch the St Charles Ave streetcar all the way to the end of the line at dusk, or in the evening, with the breeze in your face and all the old homes lit up. Savour the taste of an unusual combination: Creole/Mexican cuisine at Juan's Flying Burrito on Carrollton Street. Share the nachos and a pitcher of margaritas and you're out of there for about $15pp. Try one (or more!) of hundreds of beers on tap and in bottles at Cooter Brown's on Carrollton Street (on the St Charles Streetcar line). Combine it with something from their cheap and cheerful menu and set for the night ahead. Drink a daquiri on the street, in the middle of the day (it wards off heat and tastes amazing). 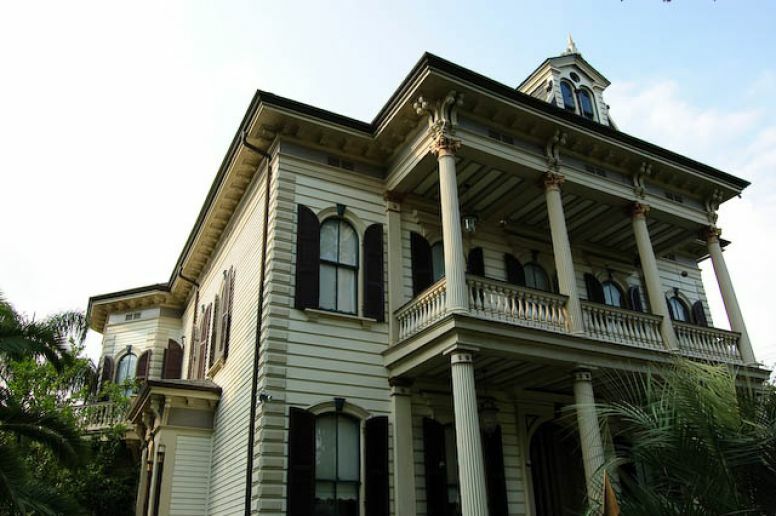 If you steer away from the French Quarter for this one it will be much more budget friendly. Wander through one of New Orleans' many dramatic cemeteries, but don't go into Louis I on your own - it's known for muggings. Muggers hide between the large tombs and catch unsuspecting tourists on a frequent basis. Have a Po-boy at Mother's Restaurant - it's a New Orleans classic and this restaurant is the real deal. Devour a Muffalatta at Central Grocery. They invented the sandwich, so it's bound to be the best here right? The giant sandwich combines olives, salami and provolone on a gargantuan round bun. It's not for the feint hearted, and should probably be shared between two. A SoCal boy straps on a pair of skis in SoCol. The last two stops on the North American leg of our 8-month adventure are back in Canada, our home for the last three years, and bring back lots of memories.